Margaret H. (Peggy) Hartshorn, Ph.D., served as President of Heartbeat International from 1993 to 2016 and is now the group’s chairman of the board. Under Peggy’s leadership, Heartbeat has grown from 250 members to become the most expansive network of pregnancy help ministries in the world, with over 2,000 affiliated pregnancy help centers, medical clinics, maternity homes, adoption agencies, and abortion recovery programs, located in forty-eight countries on six continents. In 1974, she and her husband started opening their home to young mothers. They founded Pregnancy Decision Health Centers (PDHC) in Columbus, Ohio, in 1981. Today, Peggy travels and speaks extensively, sharing her “hands on” experience with pregnancy help ministries and exemplifying Heartbeat’s commitment to the pregnancy help movement worldwide. 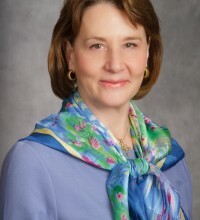 Margaret H. “Peggy” Hartshorn, Ph.D., served as President of Heartbeat International from 1993 to 2016 and is now the group’s chairman of the board. Under Peggy’s leadership, Heartbeat has grown to become the most expansive network of pregnancy help ministries in the world, with over 2,000 affiliated pregnancy help centers, medical clinics, maternity homes, adoption agencies, and abortion recovery programs located in 48 countries on six continents. In this interview, she discusses her lengthy experience operating and managing a network of life-affirming pregnancy help centers both in the United States and abroad.